Arrowstorm Entertainment’s “Saga: Curse of the Shadow” that was filmed with a much lower budget compared to other fantasy adventure films has steadily gained favorable traction from younger movie going audience due to its straightforward storytelling, ruthless heroine and unapologetic visual style. Starred in by the enigmatic Irish actor Richard McWilliams and rising young star Dani Chuchran (whose acting credits include “Dr Suess’ The Cat in the Hat” and “The Wild Stallion”), “Saga: Curse of the Shadow” is directed by John Lyde where a ruthless elven bounty huntress Nemyt (Chuchran) shoots down the dragon ridden by the fugitive orc shaman, Fangtor Bloodmoon. When Fangtor refuses to surrender quietly, the huntress must battle for her own life against the dangerous villain, and comes away with more than just his head. In the movie, Chuchran plays a ruthless heroine named Nemyt who pairs up with Keltus (McWilliams) an agent of the ruling Order, is on the trail of the enigmatic Shadow cult. He reports to a local garrison to interrogate a captured Shadow cultist, but finds the man dead - murdered by Nemyt, an elven bounty huntress cursed with the Mark of the Shadow - an undead plague. Nemyt has learned of a secret meeting and a powerful treasure. Keltus frees her from prison and the two set out to rendezvous with the cult. En route, the pair team up with Kullimon the Black, an infamous orc raider. 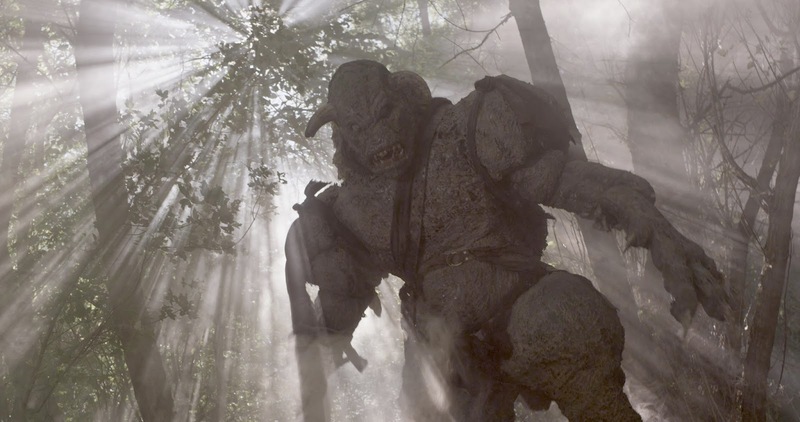 The three heroes must battle undead creatures, river dragons, swamp monsters, gun-totting dwarves and a horde of orcs in order to reach the meeting point, where their plan for Nemyt to pose as a Shadow Agent goes horribly wrong. Nemyt is captured and the real Shadow Agent escapes with the treasure, which he will use at the Well of Demons to raise an Undead God. Keltus and Kullimon battle their way to the Well, freeing Nemyt in the process. The Shadow Cult has completed a hellish ritual and a massive demon rises from the Abyss. The heroes defeat the fiery demon in an epic duel, banishing it to the Underworld, and save the realm from the undead menace. “Saga: Curse of the Shadow” is rated PG by the MTRCB. “Saga: Curse of the Shadow” will be released in local cinemas by CrystalSky Multimedia on April 2.